Today I want to show you another framed picture I have made. The frame comes from Ikea and already has a cream mount. As the butterfly on the paper was purple, I thought I would carryon with this colour. 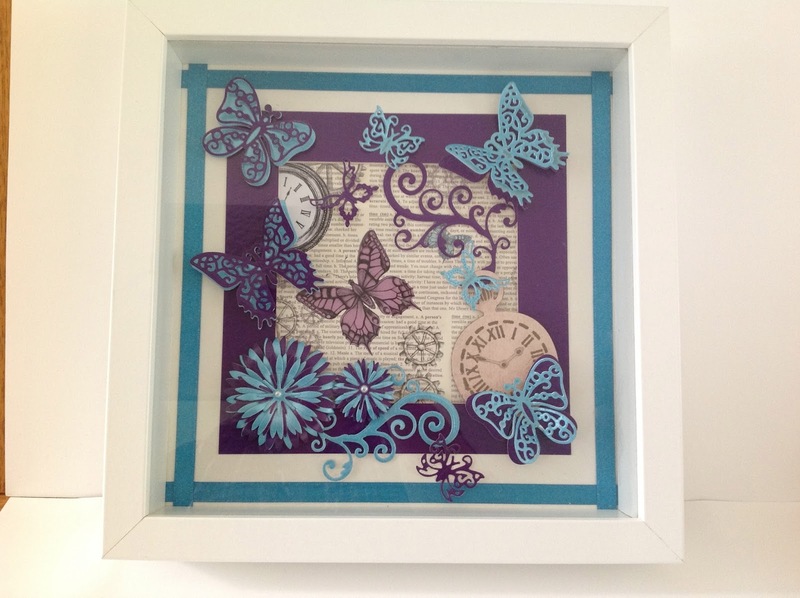 I had some blue card and ribbon which were nearly a match so decided to add this to the purple. 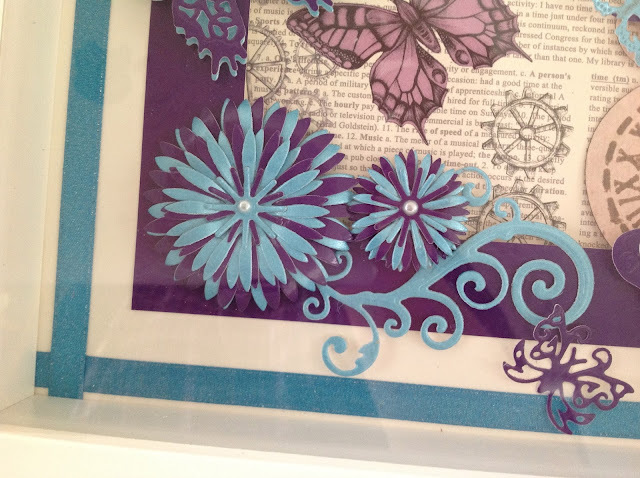 I mixed the blue and purple to make up the flowers and added little pearls in the centre. 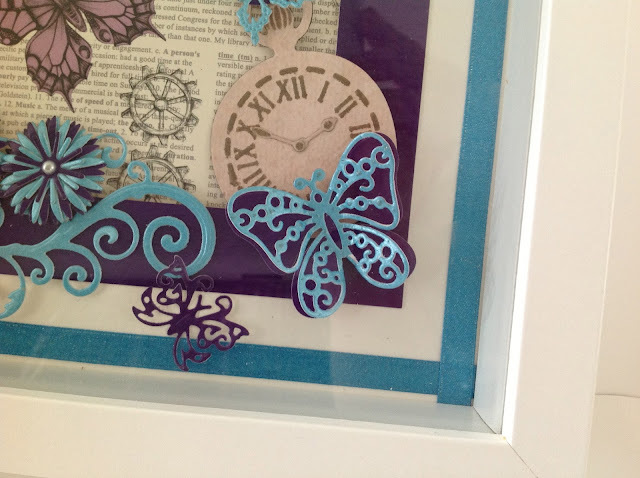 If you have the "Les Papillions" Spellbinder dies you will know that you get a solid butterfly cut die and a lace butterfly cut die, I thought I would put the opposite colour lace cut butterfly onto the solid cut die, so that you would see the pattern. 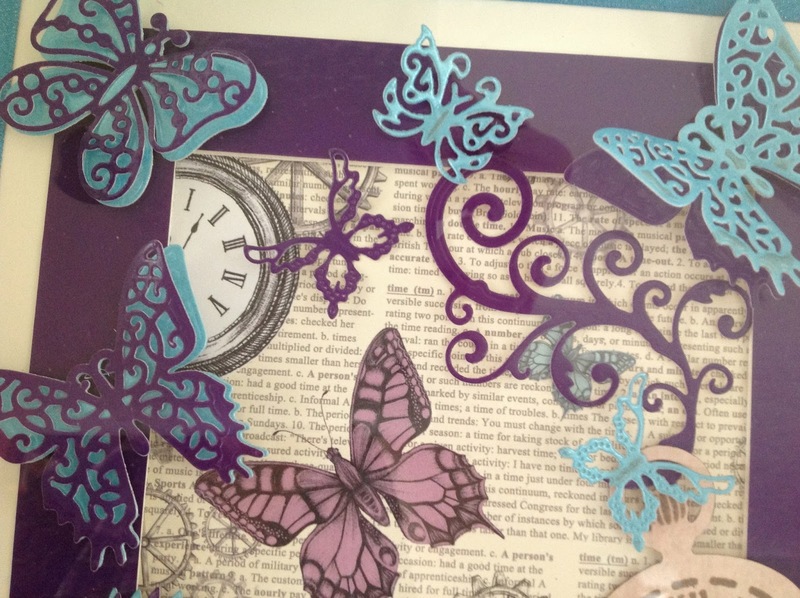 Added a few little butterflies. 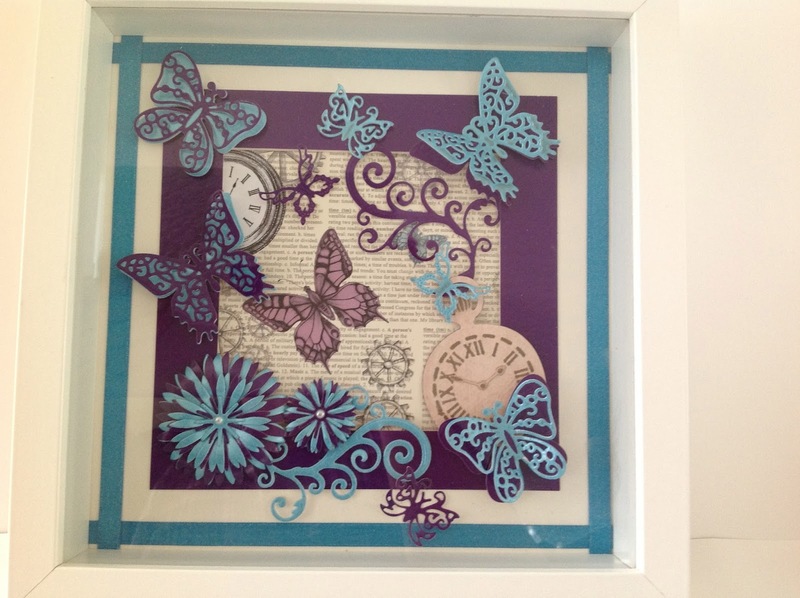 The great thing about these frames, is when you decide you want a change of colour or design you can just remove the picture and make another to fit the frame. I am hoping to sell some of these frames with different designs in aid of "Macmillan Cancer Support" over the bank holiday weekend. My daughter owns a pub in Enfield and she is having a Music Festival from Friday 23rd to Monday 26th. There will be lots going on, bouncy castle, rides and some stalls, all in aid of Macmillan. So if you are in the area drop by. The pub is called The Hop Poles.